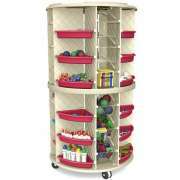 Shop Art Supply Storage In A Selection of Styles! What is the best way to store and organize art supplies? 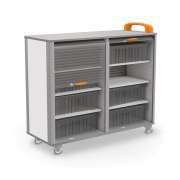 Hertz Furniture has art storage that can fit all kinds of supplies. 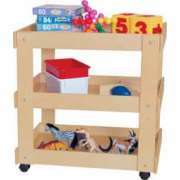 Whether you are looking for specialized setups for architecture applications or you just need a way to organize crafts projects for your preschool, we have many sturdy units that will get the job done right. 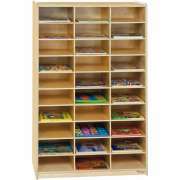 When it comes to art supply storage, the most important thing is to keep small items organized. If supplies get mixed up, a lot of time can be wasted searching for something rather than starting a project. With a dedicated space for each thing that is needed, you know exactly where things are when you want them, and you can keep everything in good condition. 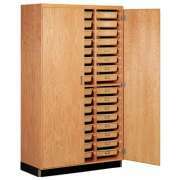 Are there special cabinets for drafting tools? 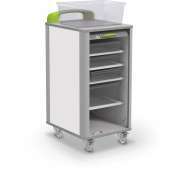 When it comes to art storage there are lots of flexible designs which can be used for various applications. 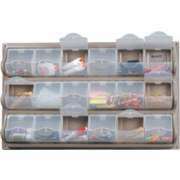 However, if you know exactly what needs to be stored, it is easier to get a proper fit. Unlike general art supplies, drafting tools can be pretty expensive and therefore they should definitely be kept in an appropriate place. 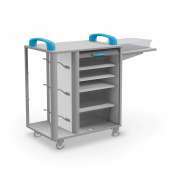 Drafting cabinets have an arrangement which specifically caters to architecture applications to keep valuable equipment in excellent condition. 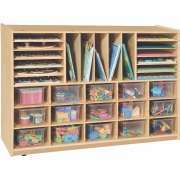 Unlike regular art supply storage, drafting cabinets include special hanging spots which provide a perfect fit for T-squares. They also include totes for smaller supplies. 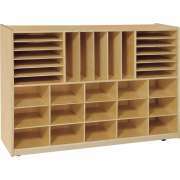 This is a very convenient setup because you can keep totes organized by item or in sets, so you can just slide them out and bring them to your workspace. 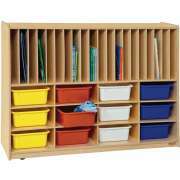 How can I organize preschool art supplies? 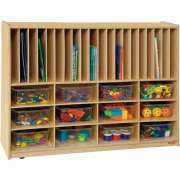 It is a good idea to get an art cabinet if you have lots of supplies that are shared by a number of teachers or classrooms. 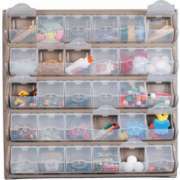 With lots of individual cubbies that are just the right size to hold plastic bins, you can keep everything from pompoms to pipecleaners neat and organized. 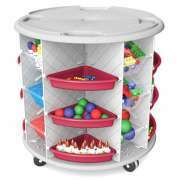 With this kind of arrangement, teachers can just take out what they need for any particular project on any given day. Rather than having to go out and get whatever is necessary, educators will save time and money knowing that whatever they might need is close at hand in school. 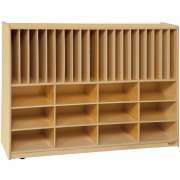 Another option if you have less supplies or each room has their own is to get wall mounted units with built-in bins in a selection of sizes. 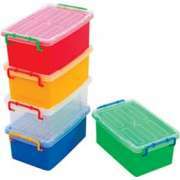 Bins can easily be opened so teachers can just reach in and take what they need. Unlike elementary schools, many preschools might not have enough space for a separate art room. Students are likely to meet the art teacher in their classroom rather than going to a dedicated space. With this kind of arrangement, getting project supplies to the right learning space can be a challenge if you don’t have a good way of transporting them. 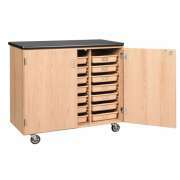 Even if there is an art storage cabinet, carrying lots of bins from classroom to classroom is not an efficient way to get supplies set up quickly. 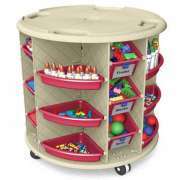 An art supply cart is just what you need to move things around quickly while keeping them organized. 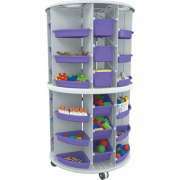 Materials can easily be rolled from class to class without any carrying. This is the perfect arrangement for an art teacher who moves from room to room rather than having one dedicated space where students come to her. If you don’t store art paper properly, it can easily get ruined or wasted. 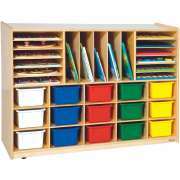 A paper organizer is the perfect place to sort papers by color, quality or type. This way it’s easier to find whatever is needed at the moment and make sure that papers don’t get crumpled or ruined and wasted. This is also a good solution for storing works in progress.